Some players really embrace the spotlight. Daniel Negreanu and Phil Hellmuth are two who come to mind. Any poker TV show, any awards ceremony, any special event, any charity gala, they’re there. But, the limelight isn’t everyone’s cup of tea. Take David ‘davidv1213’ Vamplew, for example, who just hit $2 million in career online tournament winnings, all of which has come on PokerStars. “It says something about how long I’ve been playing. 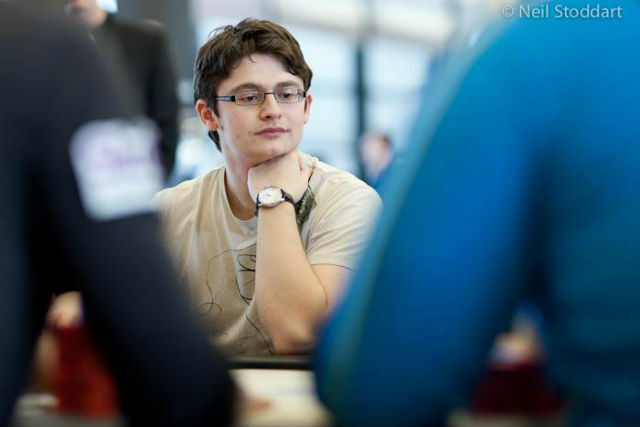 I’ve had continued success to still be playing high-stakes games,” said Vamplew, the top-ranked player in Edinburgh, Scotland. He officially hit $2 million on March 14 and was the fifth player to do so this month. Unlike Negreanu and Hellmuth, you won’t see Vamplew telling everyone he knows about his latest milestone. You won’t see him on any nationally-televised show nor, outside of this interview, would you even know it happened. Case in point: the annual World Series of Poker. Vamplew says he would rather have several smaller cashes that total more dough than one bracelet win. For many in the poker world, however, a bracelet is the be-all and end-all of the live tournament scene. Vamplew has racked up almost 2,100 in the money finishes over the years and has wins in the PokerStars Sunday 500, Sunday $109 Rebuy, and Sunday Supersonic, just to name a few. He is averaging almost $1,000 per in the money finish. In the live world, which has more mainstream recognition than its online counterpart, Vamplew is #1 on the all-time money list for Scotland, according to the Hendon Mob, and won the European Poker Tour London main event six years ago for $1.4 million. He has twice finished runner-up in a WSOP bracelet event and has reached one World Poker Tour final table. The Scot certainly has the stats, cashes, and final tables resembling an exemplary career. But, how does Vamplew measure success? His EPT London victory came shortly after he began taking live poker seriously. In fact, it was just the second in the money finish that the Hendon Mob recorded for him. After his EPT win in London over John Juanda, there were interviews-a-plenty lined up, some via email and phone, and some under the bright lights of television cameras. “I would usually get my picture taken at the table and have my picture taken with fans now and then,” he said. Kick it up a notch yo!! Have a freak out episode!! Wreck a ferrari….something…call Juanda a cornholer or something!! Make isildur cry!! go bannanas one time! !